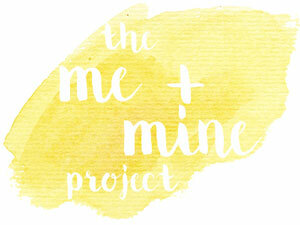 Joining up for with the Me and Mine Family Portrait Project with these photos of our little family for March. A mixed bag of pictures this month! This first picture was taken this week on our visit to Brighton. 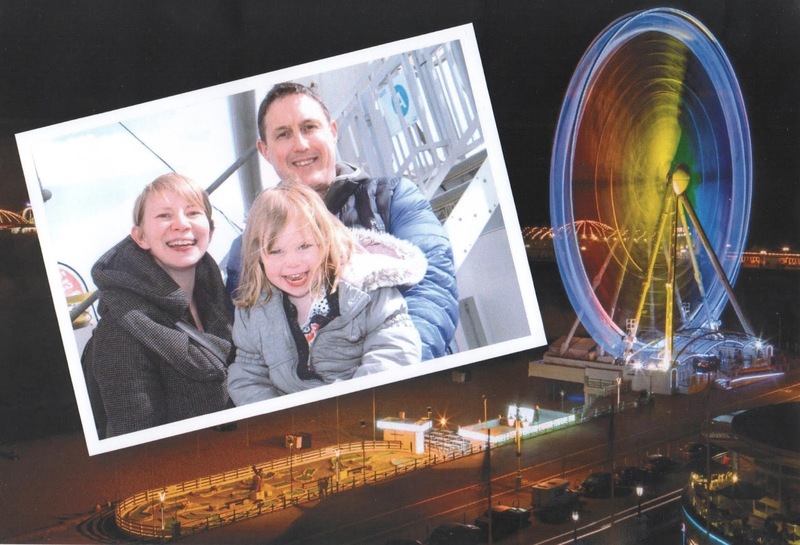 Mr MoaB and I both lived in Brighton for many years, but on this visit with Little Miss A we did lots of the touristy things and this family photo was taken on the Brighton Wheel. This second picture was taken on Easter Monday when we visited the Buckinghamshire Railway Centre for their 'A Day Out with Thomas' Day. We were about to take a ride on the miniature railway. Finally, this last photo was taken after we'd met the Gruffalo at The Gruffalo Experience in Milton Keynes. - Little Miss A is such a water-baby and her swimming is amazing. She can swim underwater for ages and is starting to use her arms really well in front-crawl! It's fantastic to watch. She has made some lovely friends in her swimming class which means she has lots of fun playing in the pool after the lesson. It's so sweet watching their interaction. - We did our bit for our local community this month with a litter pick-up around our housing estate which was part of a national campaign - Clean for the Queen. - Little Miss A and I visited my Mum & Dad for lunch on Mothering Sunday. My brother and his wife were visiting too so it was a lovely family meal. - I'm really enjoying doing pregnancy yoga classes. I firmly believe that the breathing I practiced during yoga whilst I was pregnant with Little Miss A got me through my labour with her. So I'm hoping the same will be said this time around! - We went for a very muddy family walk in Milton Keynes. We kept having to backtrack on ourselves as the paths were flooded, so not one of our most successful walks but still nice to be outdoors. - One Saturday I decided to take Little Miss A on a train journey. Just for something to do really. She hasn't been on a train for a long time so I thought it would be fun. We just went a few stops to Amersham, had a wander around the shops and then headed back home again! - I became conscious that time was ticking for doing all the things on Little Miss A's Things To Do Now I Am 2 list, and one of the things was to 'Find a geocache' so I did some research and we found our first geocache, just round the corner - very convenient! - I took Little Miss A for a day out at Green Dragon Eco Farm. It was a great time to visit as there were so many baby animals to see. - We met my parents in Milton Keynes as they had kindly paid for all of us to do the The Gruffalo Experience where we got the chance to actually meet the Gruffalo! - We enjoyed some Easter family fun in Tring Park doing some silly games with eggs which has now become a tradition for the Easter weekend. - Our local residents association organised an event on Easter Sunday which included an Easter Egg Hunt. Little Miss A wasn't phased by the Gruffalo a few days before, but when it came to the Easter Bunny - she wasn't sure at all and wouldn't pose for a photo! - I was fortunate enough to win tickets for the Buckinghamshire Railway Centre and we went along on Easter Monday for their 'Day Out with Thomas' where we got to ride on a Thomas train and take part in lots of themed activities. - We took a well overdue trip down to Brighton for a night right at the end of March (and for Little Miss A's birthday). We were so lucky with the weather and really made the most of our short visit, packing a lot in! The Volks Electric Railway, the Brighton Wheel, the Beach, a carousel ride and of course the Pier. We also managed to catch up with lots of our old friends. - Little Miss A turned 3! We can't believe how much she's changed and grown but she never fails to amaze us. She is becoming quite the chatterbox and it's fascinating to see her unique character developing. - Baby is measuring on the small side. We're not overly worried but it does mean there's lots of question marks over whether I'll have to have consultant-led care or not. On the plus side, we're getting the chance to see baby more with the extra scans! - Little Miss A decided to end her time as a 2 year old with some almighty meltdowns. We really are fortunate that she doesn't have them very often but it seems like in the last week of March there have been quite a few. I really do hope she's got the 'Terrible Twos' out of her system now that she is 3! Thanks Alex. We definitely seem to keep ourselves busy and make the most of all the local places where we can. The Eco Farm is well worth a visit.